Any lover of wine will tell you that nothing complements great wine like great food. A yin and yang of delectable flavor combinations that mutually benefit the other. 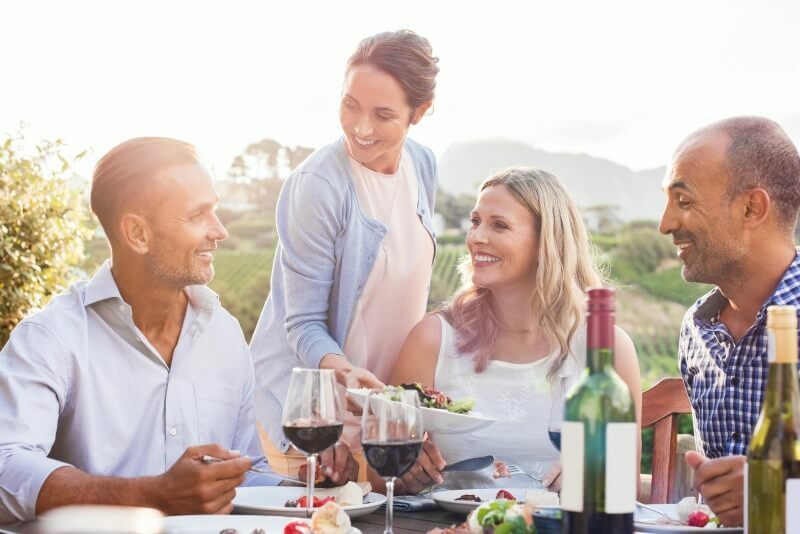 For those foodies searching for that all-inclusive culinary experience, why not let our Napa Valley lodgings take out all the guesswork of deciding where to stay? That way you can kick back, relax, and focus on tasting the next great vintage. Both of our Napa Valley, California Inns offer a wide selection of delicious fresh and cooked fruits, hearty homemade granola and yoghurt, fresh baked scones and muffins, and a signature hot dish of the day. 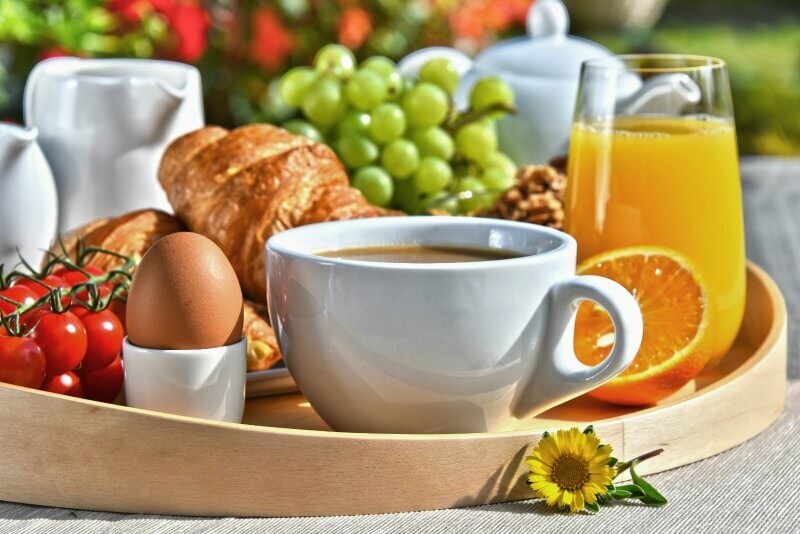 At Craftsman Inn, breakfast is available out on our front porch where you can breathe in that fresh morning air while sipping our own custom coffee blend served French press style. At Wine Way Inn, enjoy breakfast in the beautiful glass-roofed dining room or immerse yourself in nature at tables situated in our lovely garden. For those guests who love their breakfast so much they can hardly bear to part with it, the good news is that you don’t have to! All breakfasts at both inns are made from Innkeeper Gillian Kite’s own cookbook, Inn Food. Take these delightful meals served at our Inns home with you and enjoy Napa-style cuisine with your family and friends. 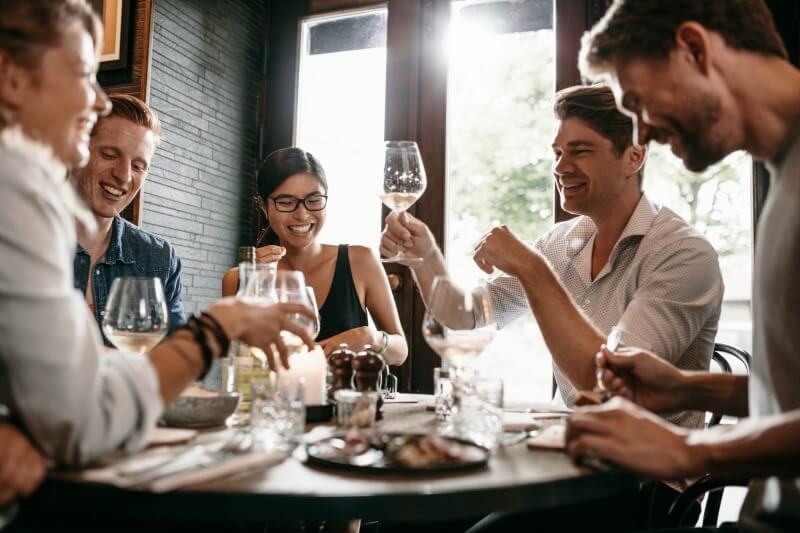 More than just mealtimes for the morning, the area surrounding our inns has a wide variety of culinary options to choose from and no lack of excellent food for the discerning palate searching for their next pairing. For larger parties looking for a premium catering experience, Napa Valley Heritage Catering specializes in local cuisine with a focus on sustainably and humanely raised pork and offers buffet style, plated, and even whole animal cookery. You can also pop into their kitchen deli for great sandwiches, salads and their 18-month aged Napa Valley prosciutto which is not to be missed. For those later risers, brunch at Auberge du Soleil is a Michelin star rated experience with a distinct Napa flavor. Take in the scenic vista overlooking Napa on the terrace and, for only $75 a person, enjoy a basket of pastries, three-course brunch, and a mimosa or bloody mary. 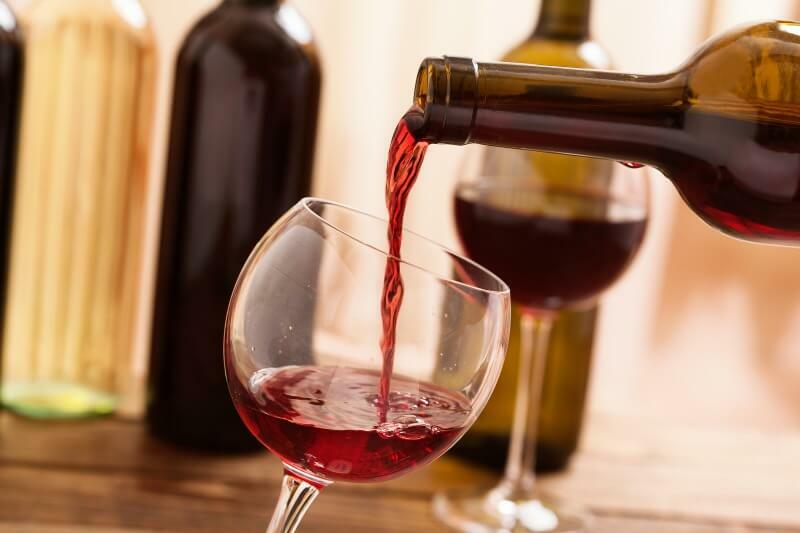 With over 15,000 wines to choose from, selected by their Director of Wine, another visit for their exquisite dinner options would be the perfect end to a day of wine tasting. Looking for a few places off the beaten path? You may have never heard of them, but these two restaurants are sure to wow with their unique cuisine. Two Birds One Stone, located between St. Helena and Calistoga, is a Japanese gastropub serving Asian variants on classic dishes like chicken thighs and Wagyu beef short ribs along with Japanese classics like their own in-house ramen recipes. A visit to this little-known, but excellent, eatery is a must for any discerning epicurean. Additionally, a brand new restaurant, Gran Eléctrica, has just expanded from their New York City location and opened in Napa Valley! Serving high-end Mexican dishes with a diverse selection of tequilas and mezcals, you’d be hard-pressed to find better Latin-American cuisine in the Napa Valley area. Want a keepsake to savor this getaway even longer? Besides the endless selection of wines, Napa Valley Olive Oil sells high-quality olive oil and balsamic vinegar to use in your own cooking endeavors. Whether brought home or given as a gift, take the taste of Napa as a memory of the wonderful time spent here. Napa is truly a phenomenal vacation destination. With its rolling hills of vineyards, beautiful breakfasts on the patio, and decadent dinners overlooking sunset, not many places in the world offer an experience quite like the Valley does. 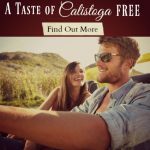 For a first-time visit or a long-awaited return, stay with Napa Valley Lodging and let us provide the perfect launching point for all your Napa adventures. See you soon!